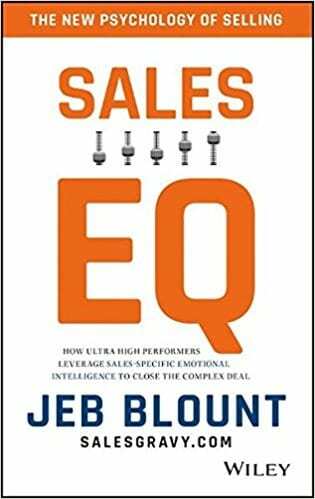 As an admitted fan of Jeb Blount it was with great anticipation that I read through Jeb’s eighth sales book – Sales EQ: How Ultra High Performers Leverage Sales-Specific Emotional Intelligence to Close the Complex Deal. And I was richly rewarded for my effort. I love this book. 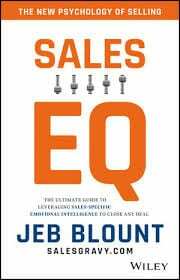 In Sales EQ Jeb Blount tackles a critical, yet probably the most neglected aspect of selling – emotion – and goes on to take important abstract concepts and convert them into usable knowledge and practical steps to help every professional take their game to a higher level. There is deep wisdom here and Sales EQ is a book that will make you feel both smarter and more fulfilled after having read it. Sales EQ delves into the emotional aspects of why people buy and why it is so vital that we as sales professionals understand and hone our sales EQ. This means mastering our own emotions as well and understanding and connecting with our customer’s. Considerable time is invested in discussing the importance of thinking and feeling from your customer’s perspective. For those who are fans of behavioral economics and cognitive anomalies like I am, there is much in this book for you. Even better, Jeb describes these in very accessible terms and lays everything out in his typical straightforward style. Product knowledge is no longer sufficient (if it ever was). Connection and human interaction can trump every aspect of the buying/selling dynamic. 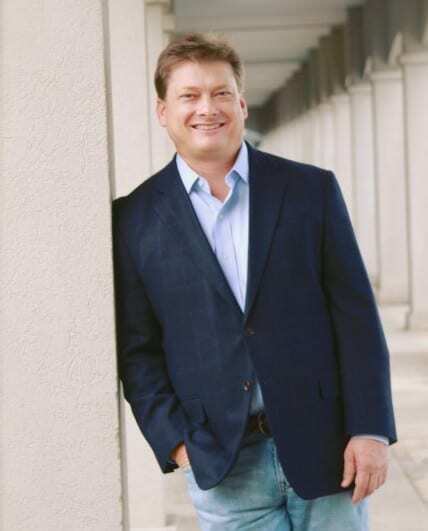 Jeb articulates four levels of sales intelligence – Innate Intelligence, Acquired Intelligence, Technological Intelligence & Emotional Intelligence – how to combine these four and and why Sales EQ is the most important of all. Studies from HR Chally & CEB both confirm that you – the salesperson – are the most important factor in determining the outcome of the sale. You are more important than brand, more important than product, more important than service and more important than price. Within the pages of Sales EQ is the both the explanation of why this is true and the actionable advice that will help each of us leverage it to the betterment of both our clients and ourselves. Jeb’s book gets progressively more practical as you read through it. We start with concepts and end with very tactical advice, actions and tips as we graduate to the end. In my opinion this is exactly the right flow and I would argue that Jeb navigates this flawlessly. Heuristics and behavioral economics can become complex yet there is not a single hint of complexity. Jeb’s quality as a writer really shines here. Everything flows smoothly and naturally from concept to action. I am tempted to outline just how practical this becomes but a quick glance at the table of contents will illustrate just how constructive things become. If you came for actionable tips – you’ll get it. As technology and process reach parity in every industry, Sales EQ addresses the last mile – the most important mile – of the sales experience. Even if you have mastered everything else, this is where it ultimately lands. Emotional Intelligence is the final and most influential frontier for sales professionals. The information in Sales EQ will be just as valid fifty years from now as it is today – because it’s timeless. For that reason I urge every sales professional to read this work and continually hone your own EQ to the betterment of you, your loved ones and your clients.